With the largest international airport on the island, Chitose serves for most visitors as a way in or a way out, rather than a destination in itself. It's hard to disagree with this conception as, other than a handful of temples, shrines, and pagodas, Chitose attractions lie out of town. Chitose, as well as having the airport, acts as a gateway to some superlative natural sights, including a national park of crater lakes, volcanoes, and hot springs. Chitose is in Hokkaido. Add Chitose and other destinations in Japan to your travel itinerary using our Japan trip planner. 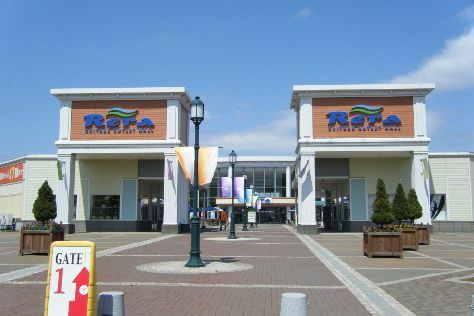 Chitose has a large number of accommodations for a city of its size, because of its large international airport. In the city center, you'll find an abundance of hotels of all varieties, usually used for convenience before or after a flight. Some more interesting accommodations can be found to the west of here in the national park, where visitors will find a decent number of options, including traditional guesthouses next to the scenic bodies of water, mountains, and hot springs.